They met Skratch the Cat at a museum that lay in the heart of the Bavarian quarter. Skratch always had many keys and most of them fitted something. If they didn't, he had other ways of getting in. "This one's sure to fit," he meaowed. 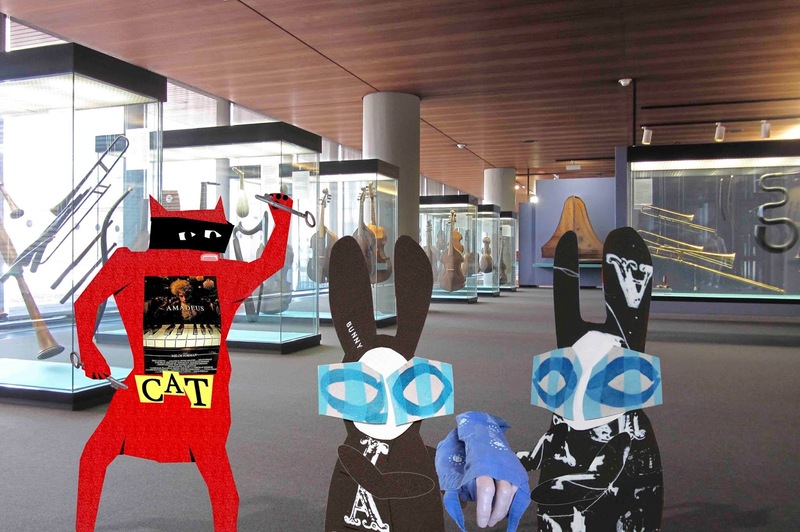 Wabsworth and the Wabbit gently carried the severed hand, wrapped in a bag, through the empty museum. It twisted a bit when it sensed musical instruments, then it traced several notes with a long forefinger. One by one, instruments in the glass cases started to play and displays vibrated loudly. "Shhh," hissed the Wabbit. The music faded slightly and the Wabbit patted the bag. Skratch was enthusiastic. "What kind of piano does the hand want?" he purred. "An early fortepiano? Maybe a virginal or a clavichord?" The hand shook violently. "An electronic piano?" suggested Skratch. The hand made a rude sign. "A grand piano!" said Wabsworth. The hand seemed interested. "Parlour Grand, Boudoir Grand or Baby Grand?" asked Skratch. An air of indecision hung in the air and the hand tried to wriggle out of the bag. 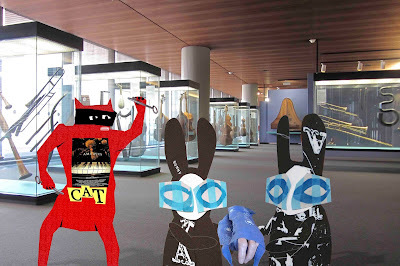 "Let's find the right room and let the hand choose," murmured the Wabbit. He gripped the bag tightly and quickened pace as the instruments burst into Scarlatti's Cat Fugue. Skratch pirouetted across the floor. "My favourite," he purred.